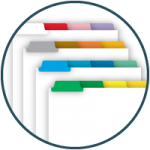 Provide easy access to information and efficient organization to files. 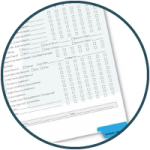 We can match your existing filing system or help you create a new more efficient one. 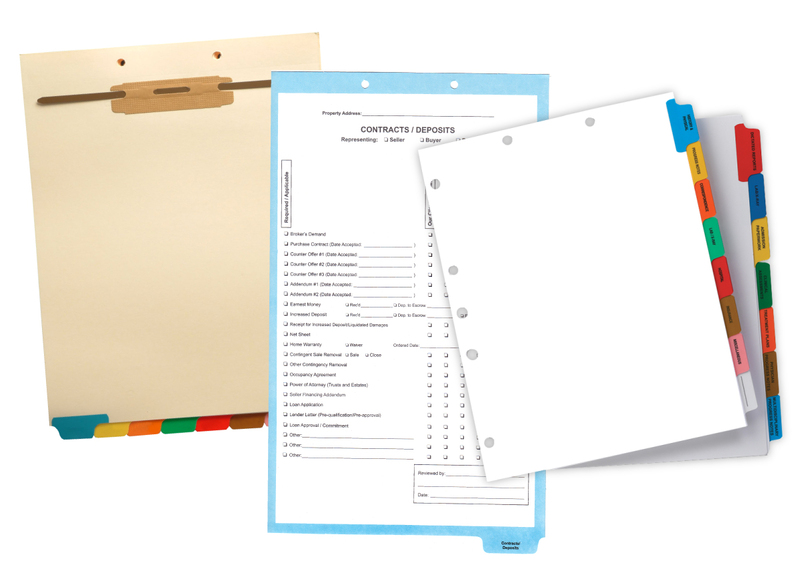 Looking for a completely assembled file folder with dividers or filebacks? We can do that for you. 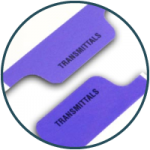 There is a wide selection of standard mylar colors to choose from. We also have non-standard, neon colors (not shown) available. Custom body copy can be added to your dividers to make them more functional, such as adding checklists, or to further brand and market your company. Body copy can be the same on each divider or different. Headings are printed on both the front and back side of the tab dividers and formatted however you’d like. All caps, sentence case, font choice, point size, etc. Choose to have your tab dividers come with pre-drilled holes. Holes can be drilled in any standard position and combination, such as two top or three side. Binding edges are reinforced with clear mylar to prevent tearing and increase the longevity of the dividers. 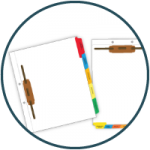 Fileback dividers make the organization of large file folders simpler and more efficient. 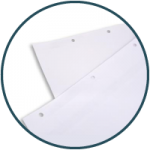 Individual fasteners on each divider enable you to add or remove paperwork in any section without disturbing other sections. One of our dedicated account representatives would be happy to talk to you about the added benefits of our dividers and filebacks. Send us a message, give us a call at 877.434.5464 or request samples to get started.